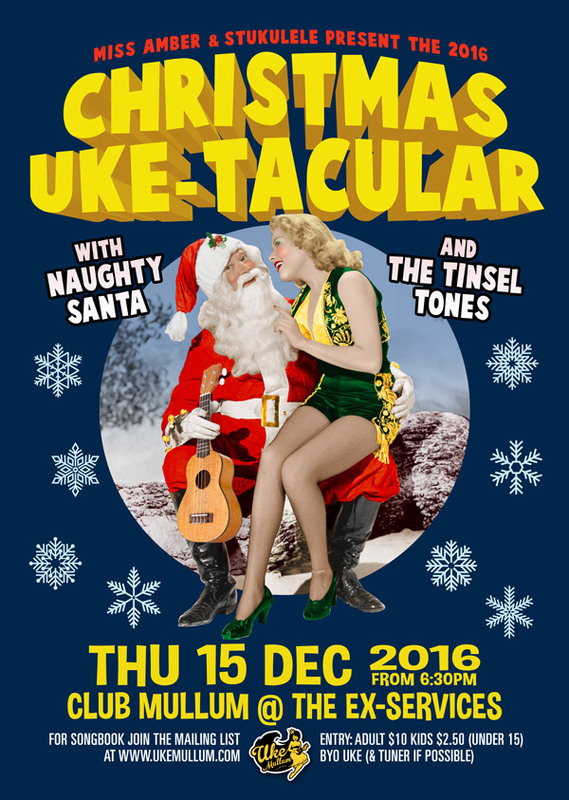 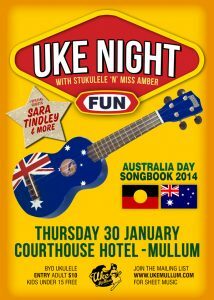 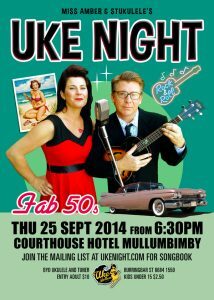 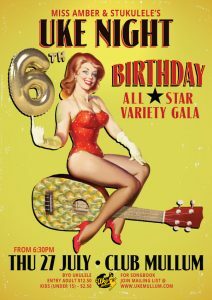 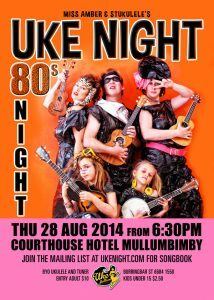 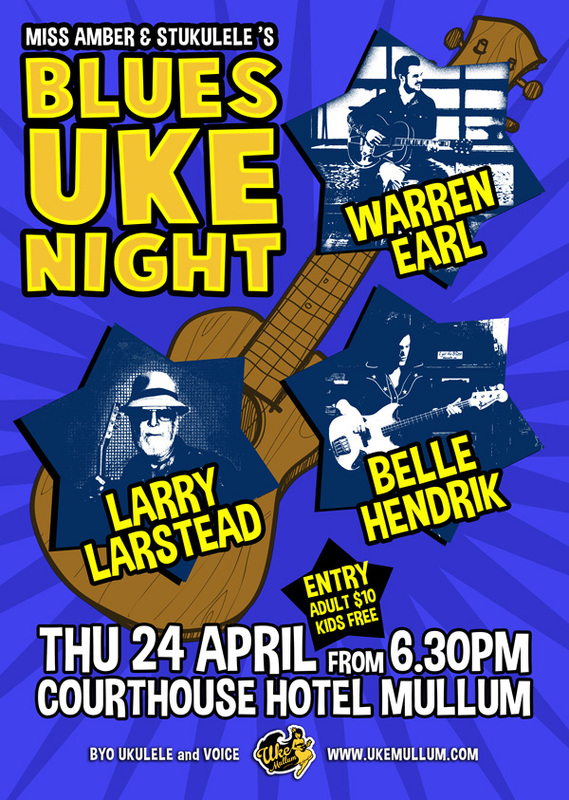 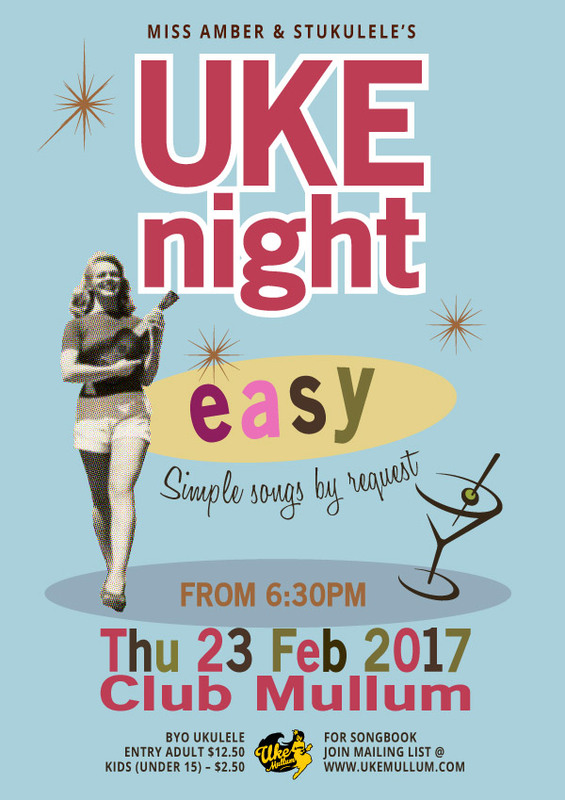 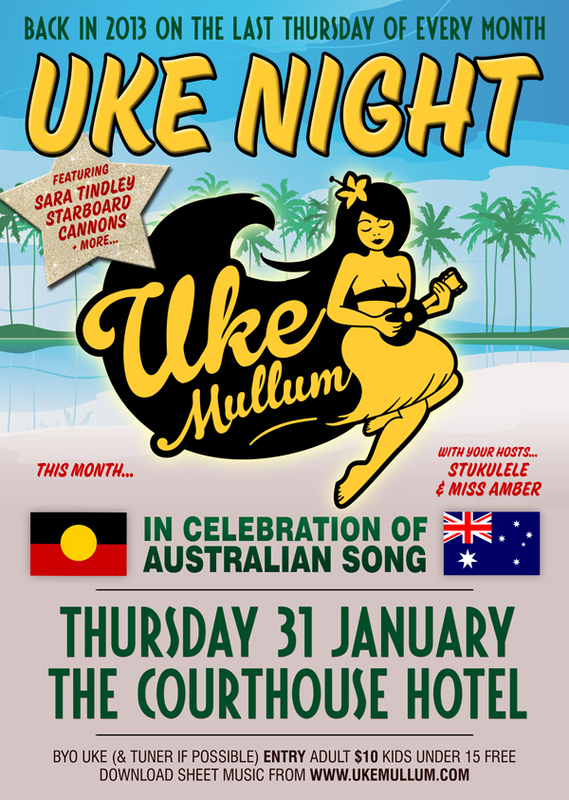 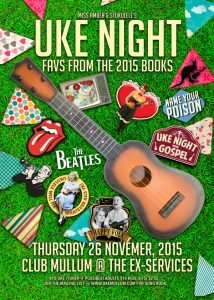 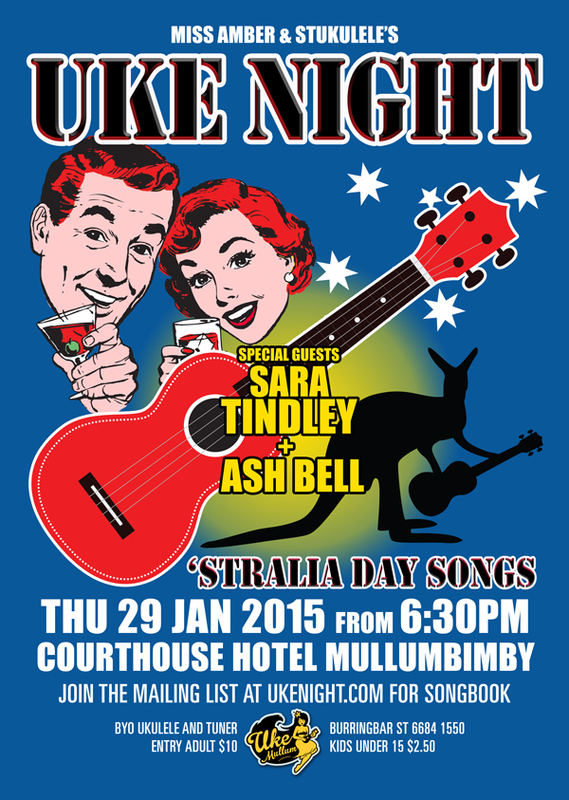 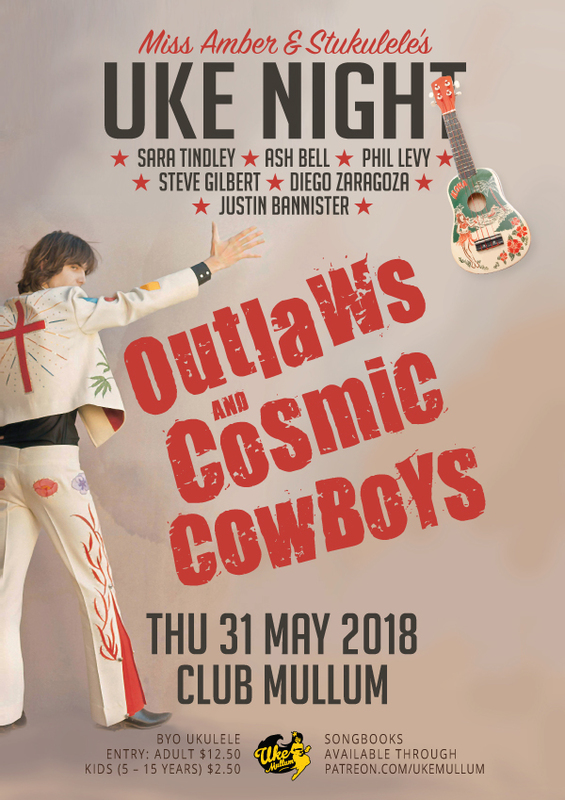 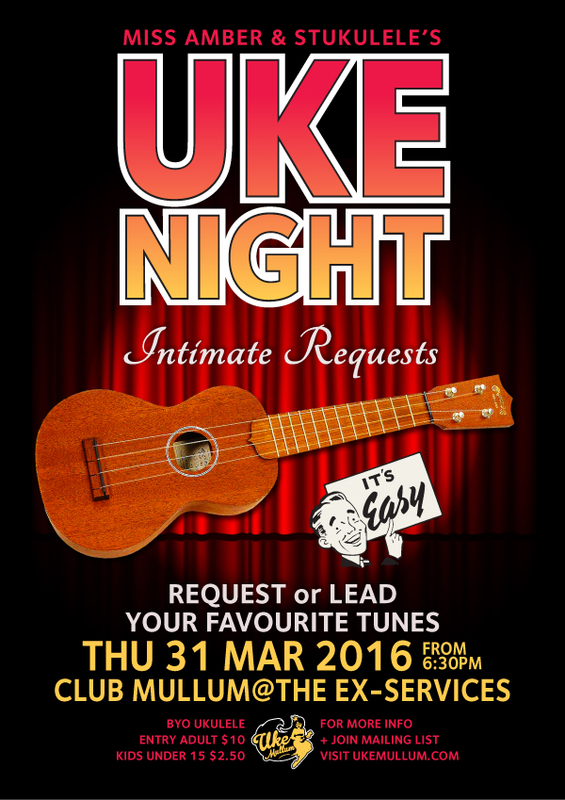 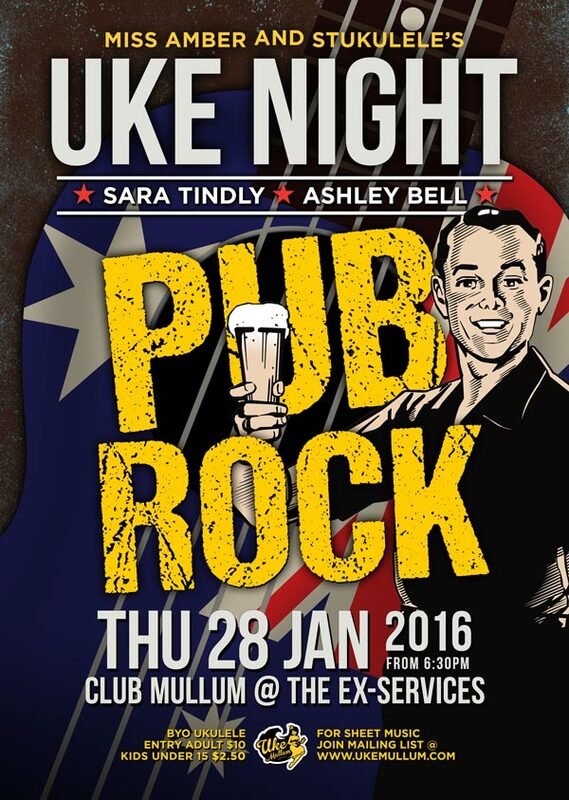 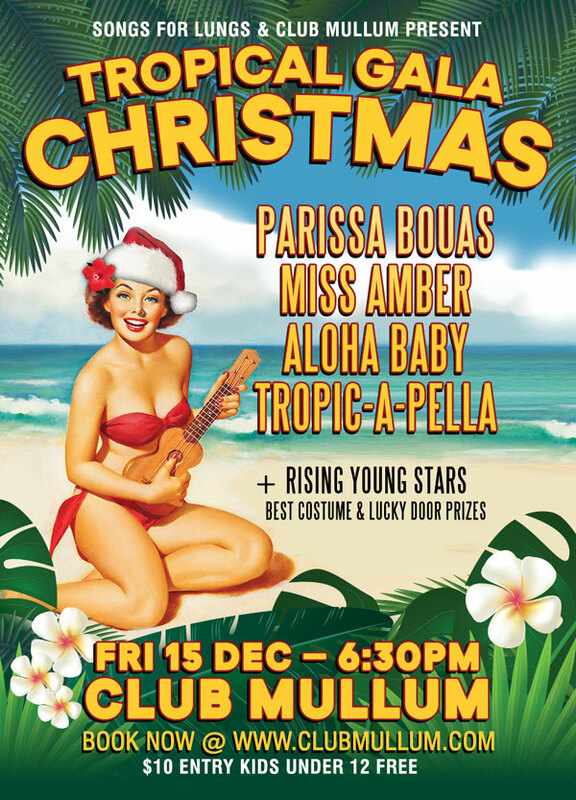 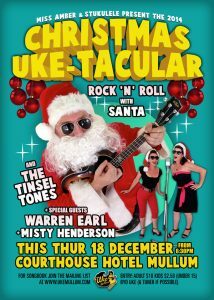 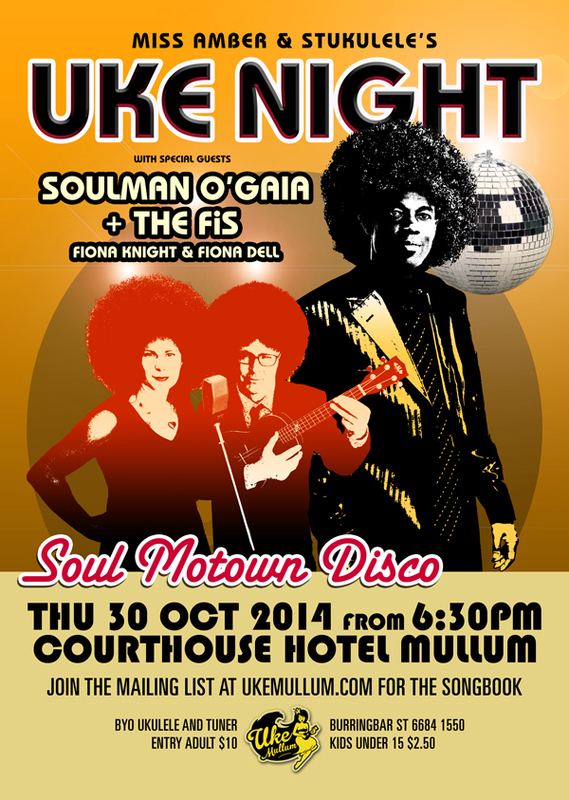 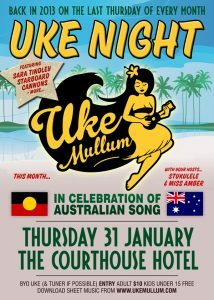 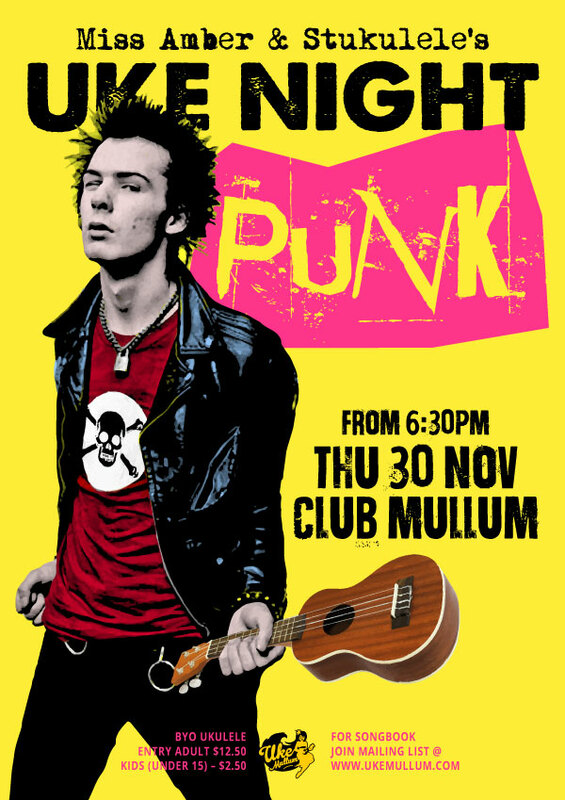 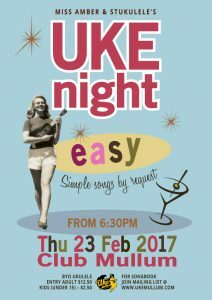 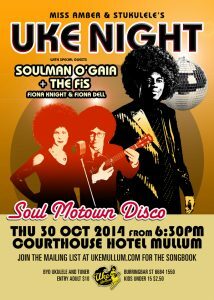 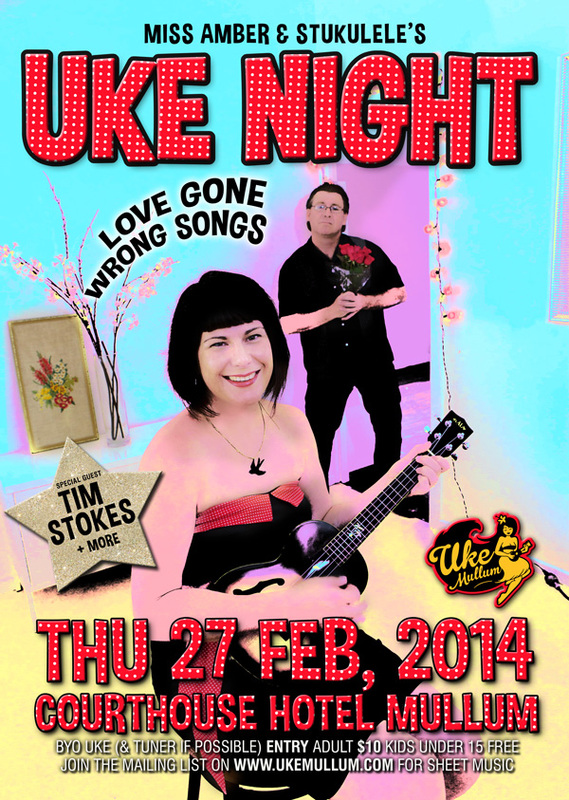 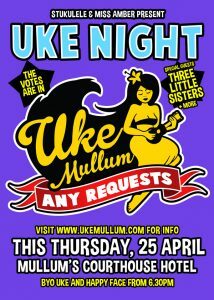 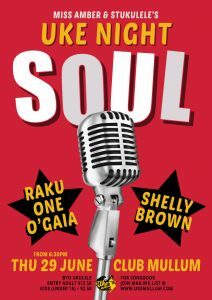 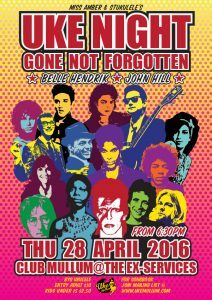 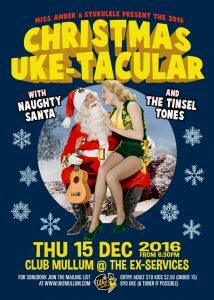 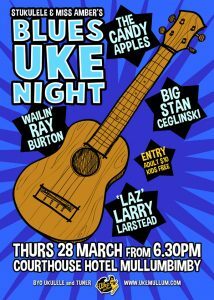 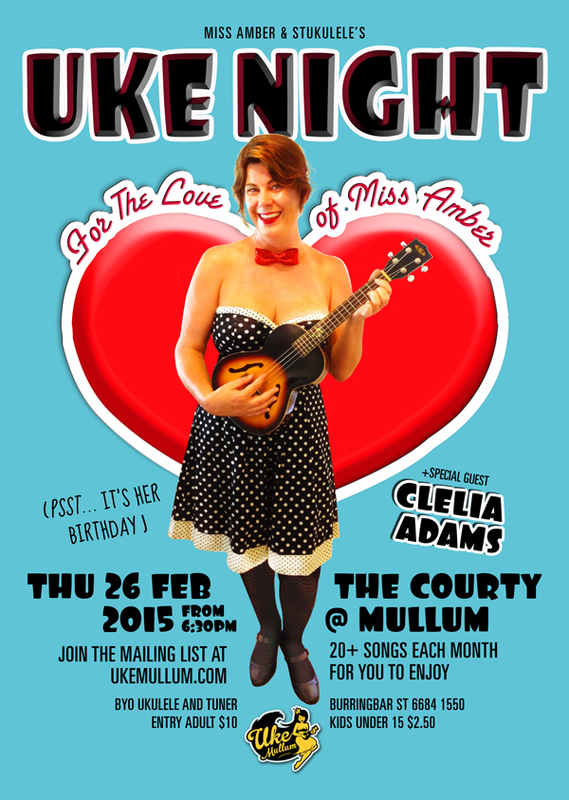 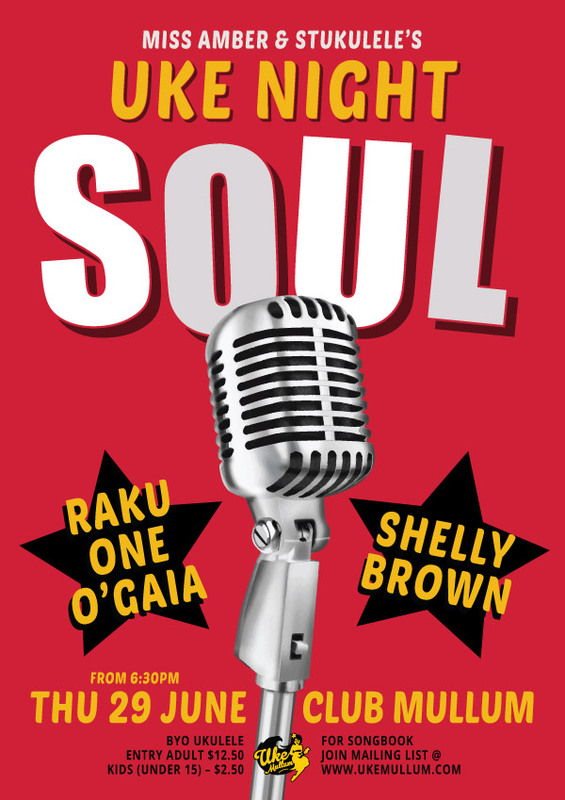 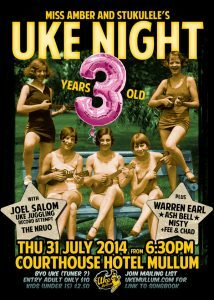 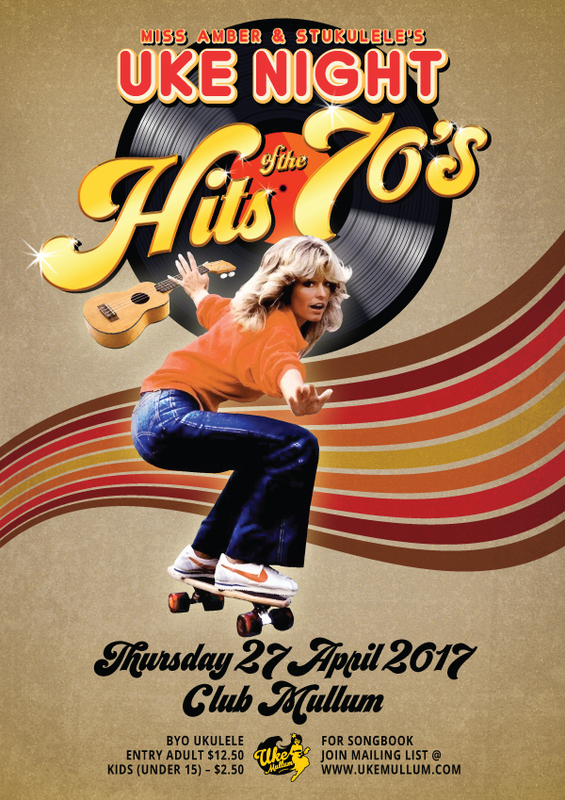 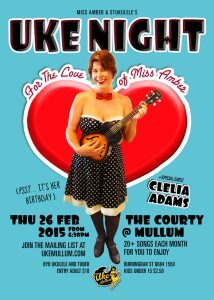 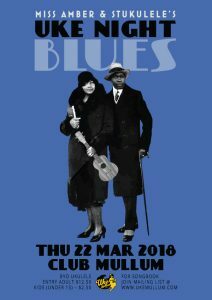 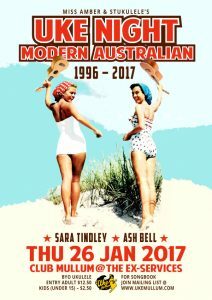 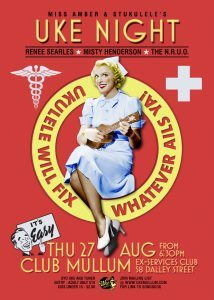 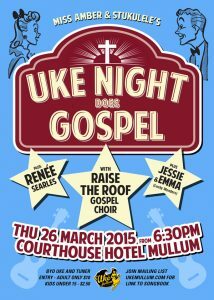 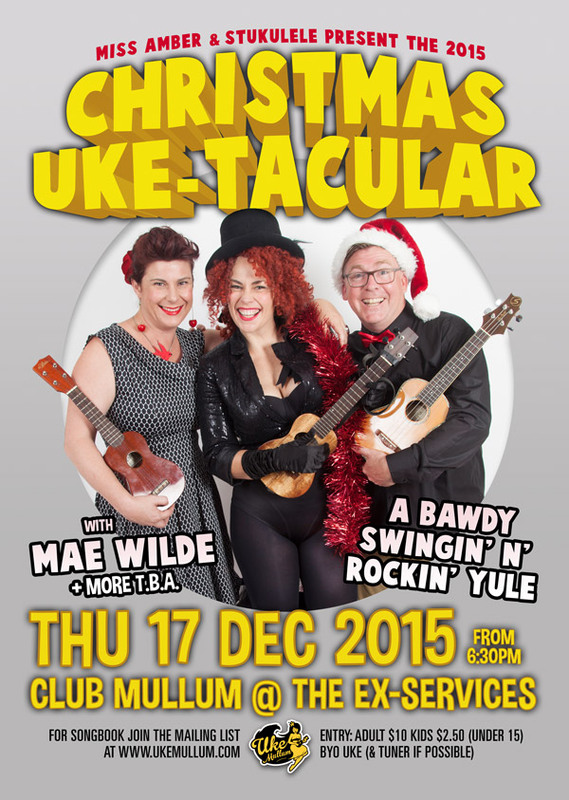 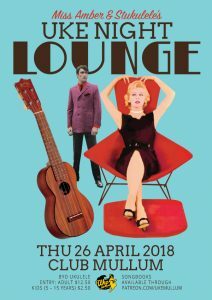 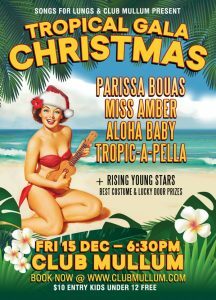 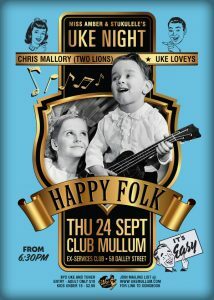 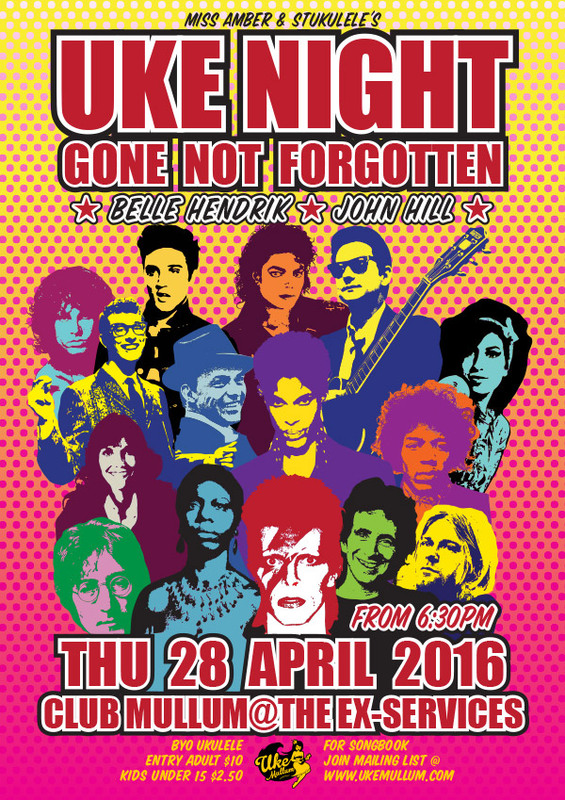 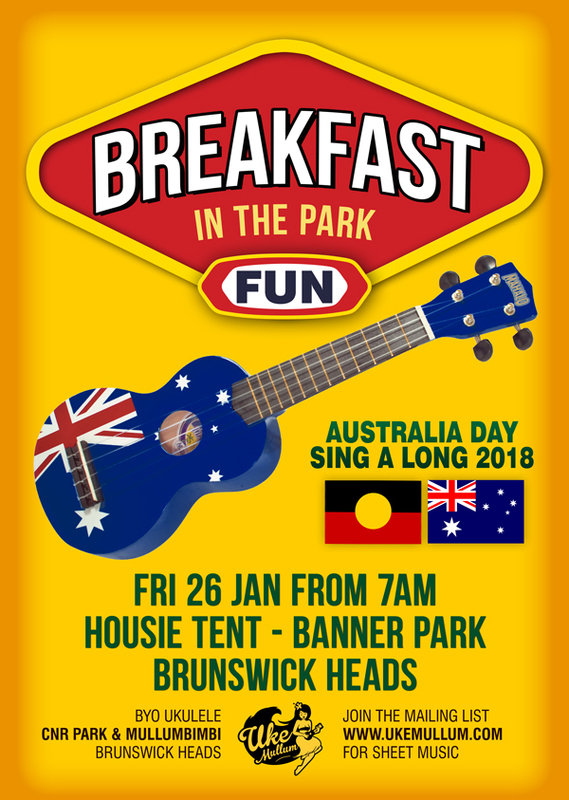 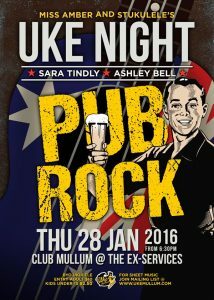 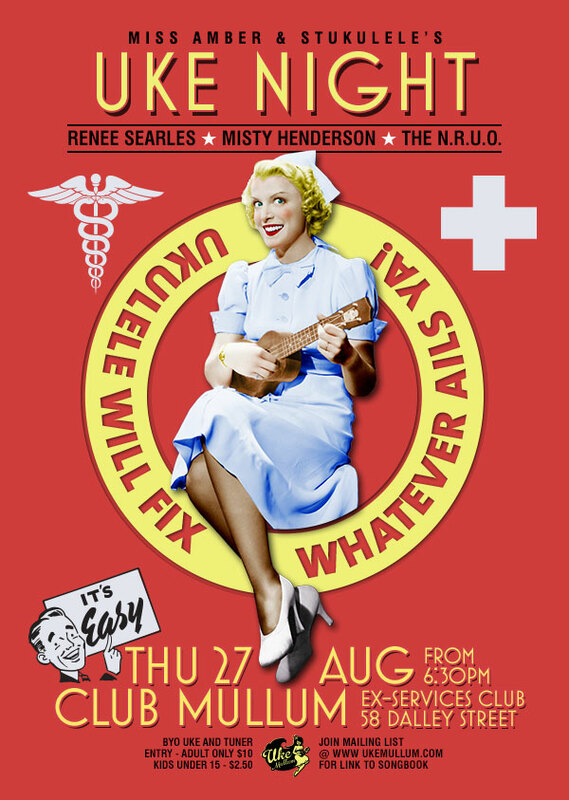 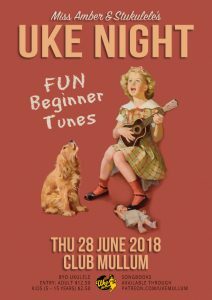 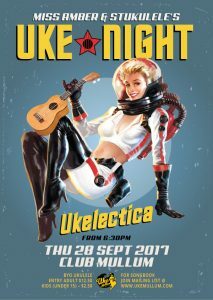 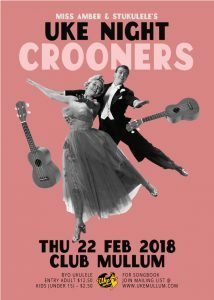 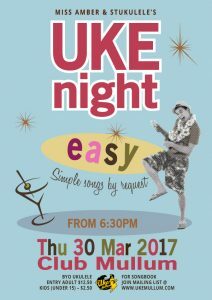 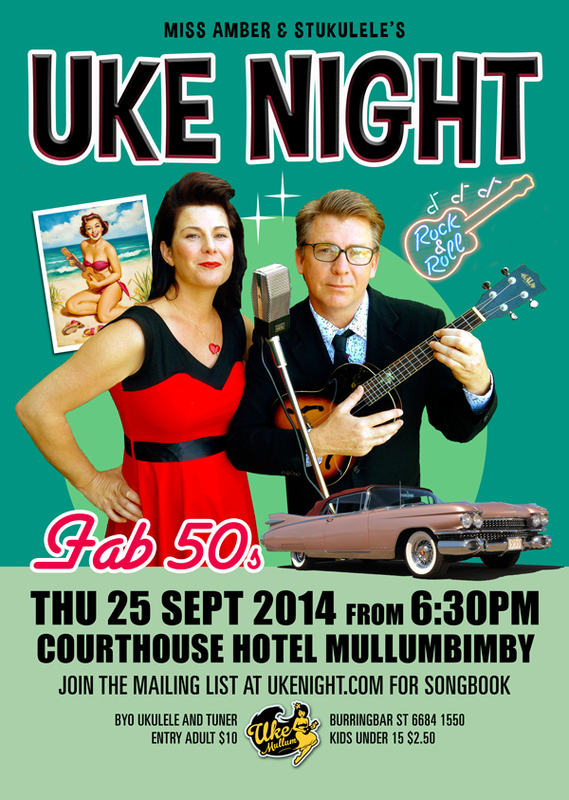 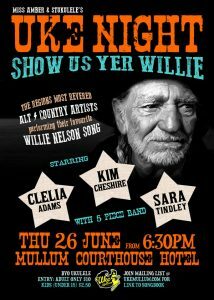 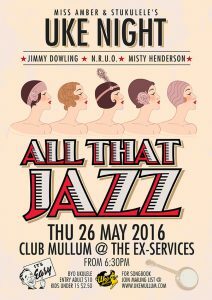 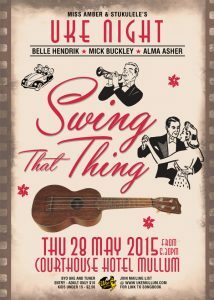 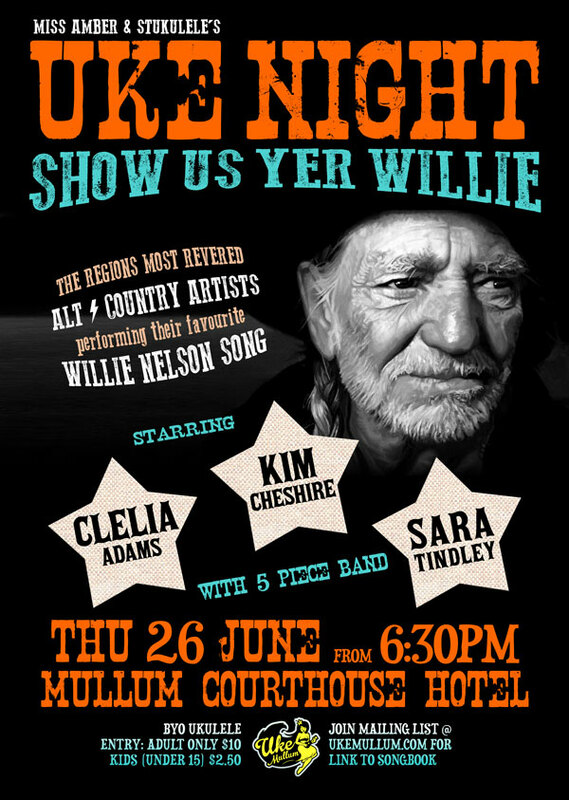 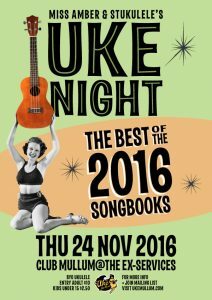 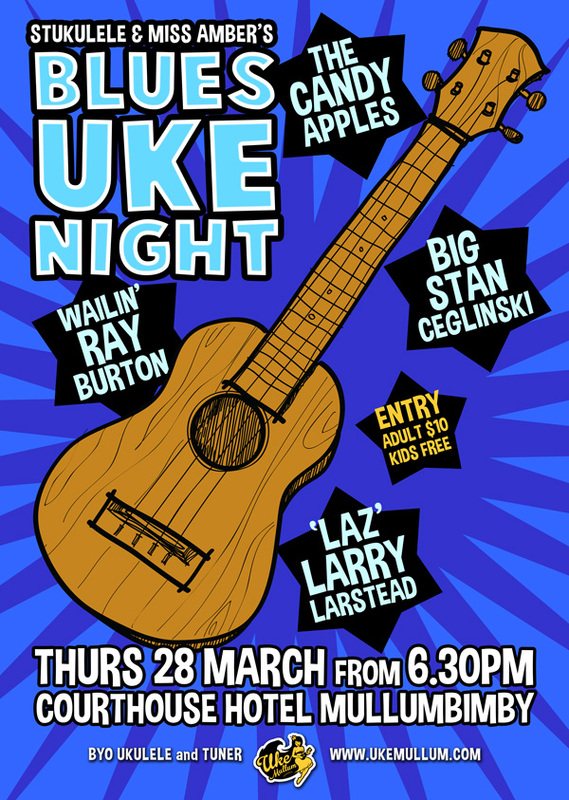 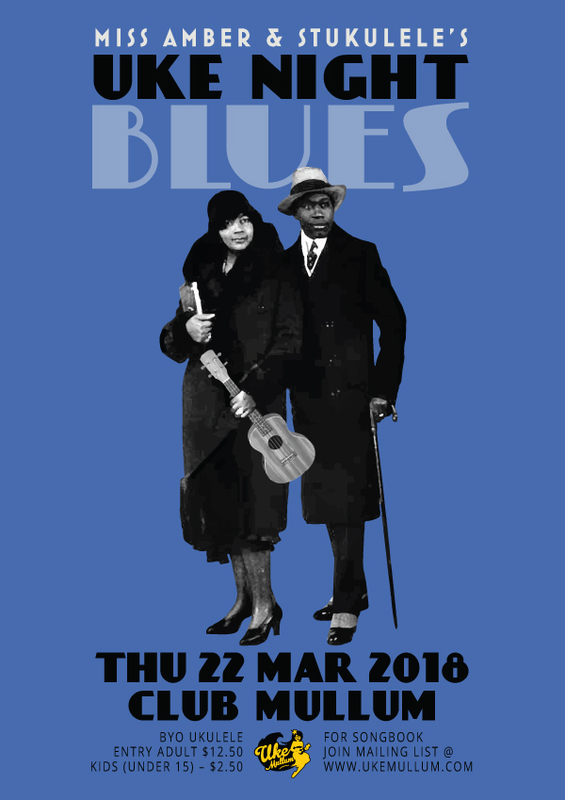 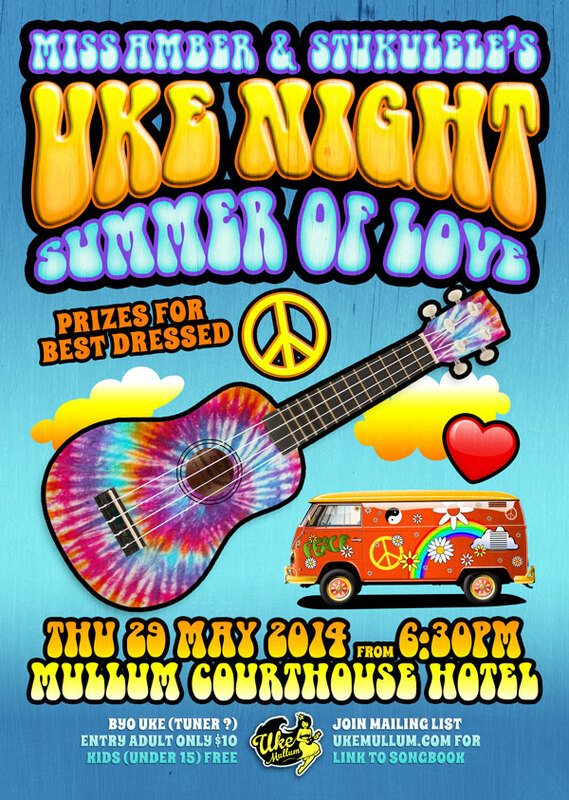 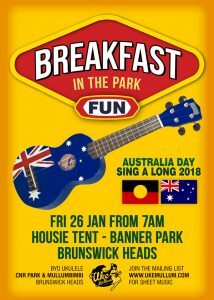 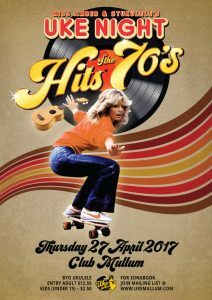 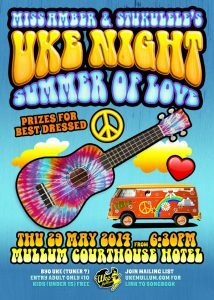 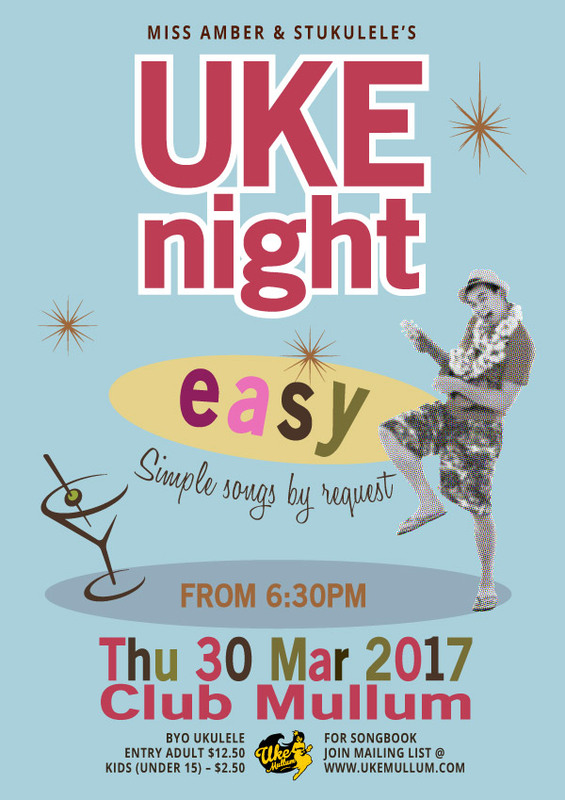 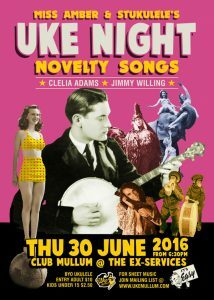 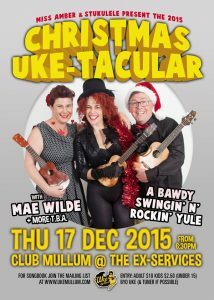 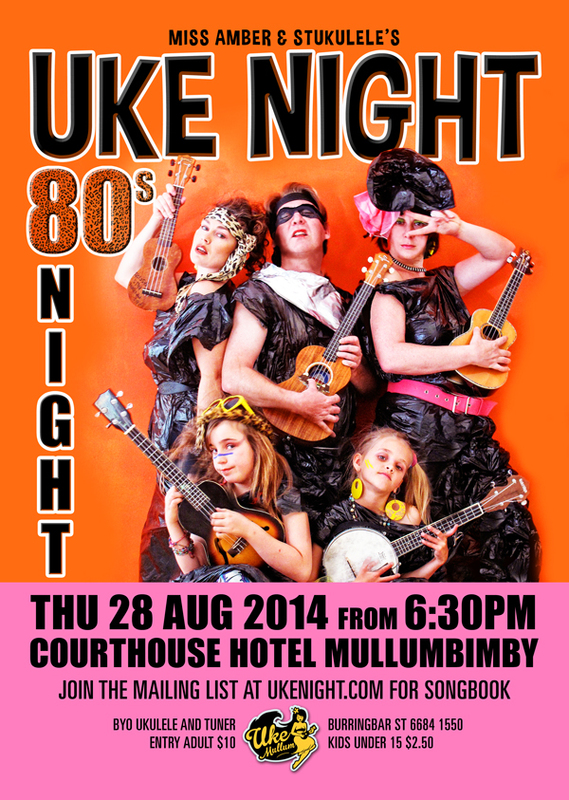 Uke Mullum creates a themed monthly songbook every month for UKE NIGHT on the last Thursday of the Month at Club Mullum. 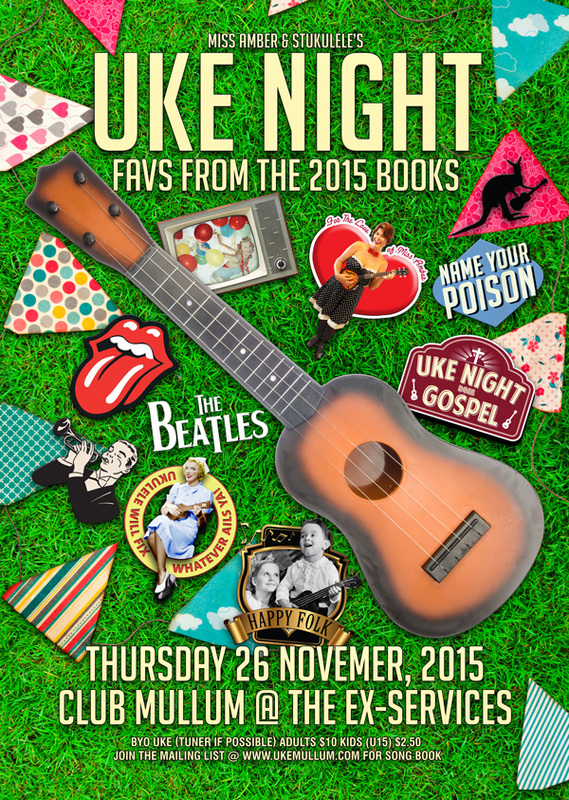 To create each book is a process that can take up to 70 hours or more. 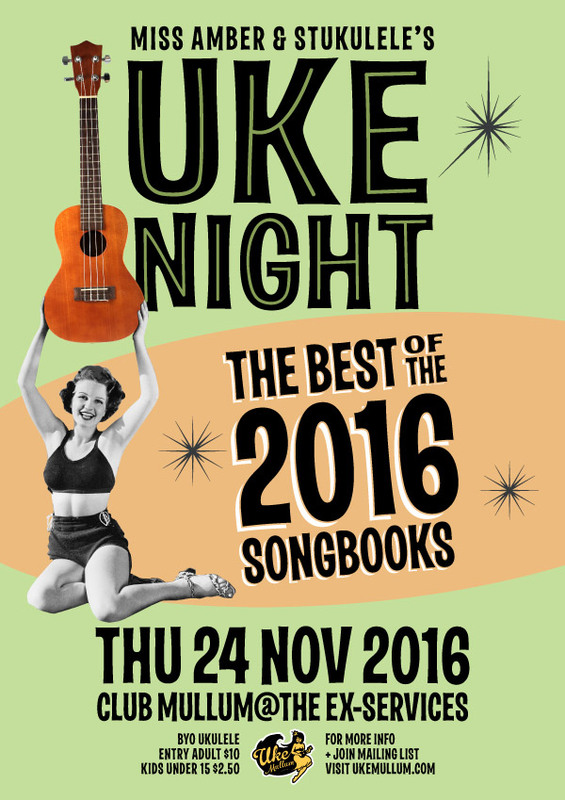 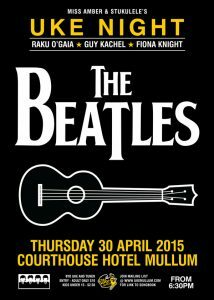 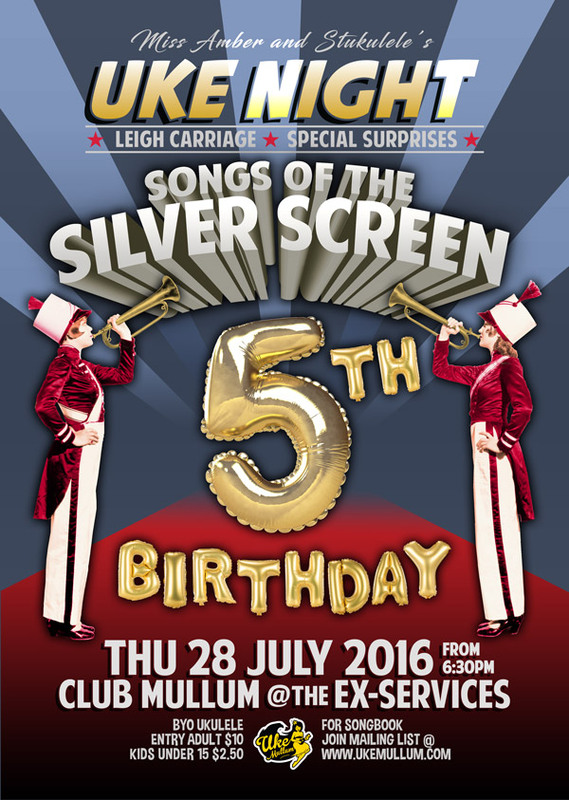 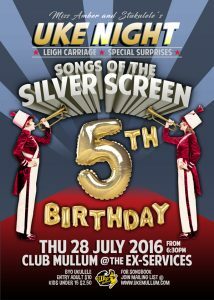 The songbooks are not available for purchase and you are asked not to distribute them. 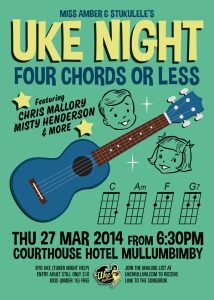 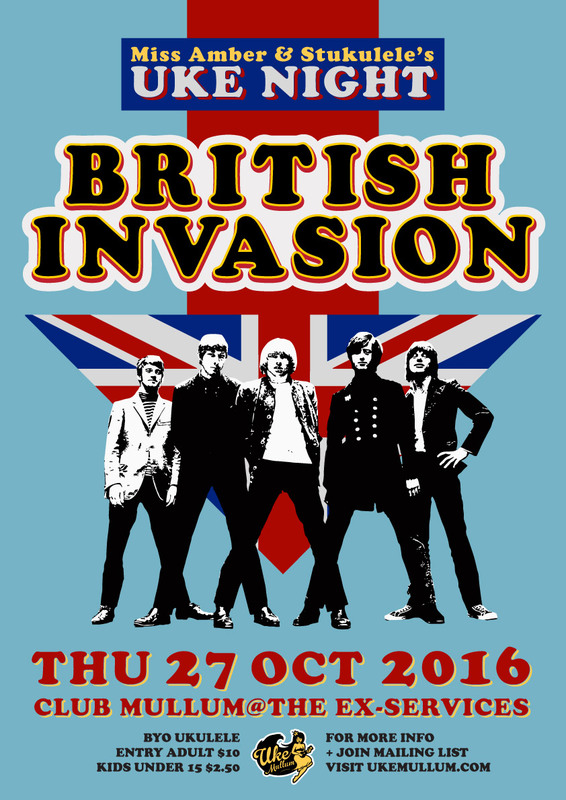 You don’t even have to print them as the charts are projected at the UKE NIGHT. You can gain access to the songbooks by pledging a donation each month to support the time it takes to prepare the songbooks and to orgainise the UKE NIGHTS. 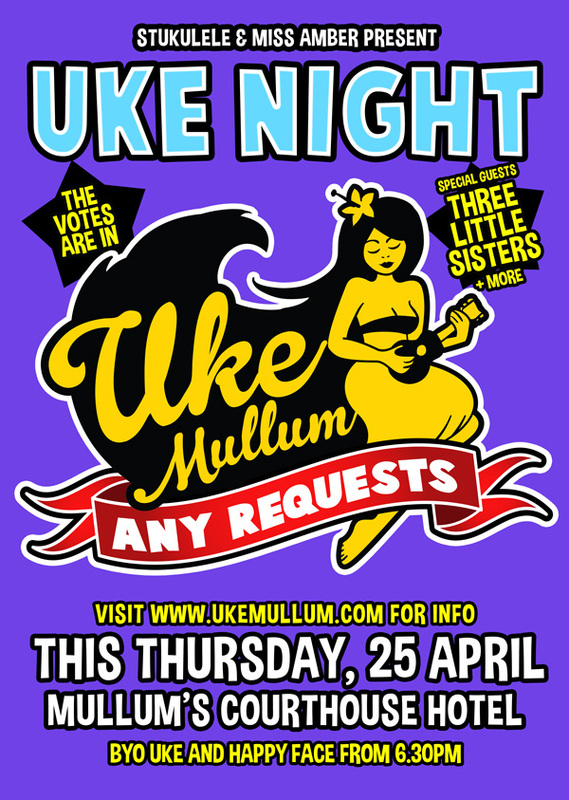 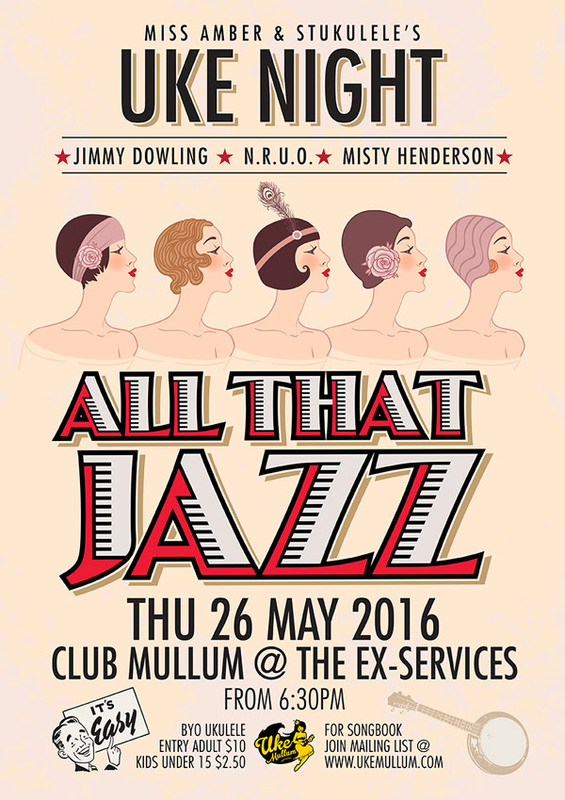 The best way is to sign up to Uke Mullum’s Patreon Page. 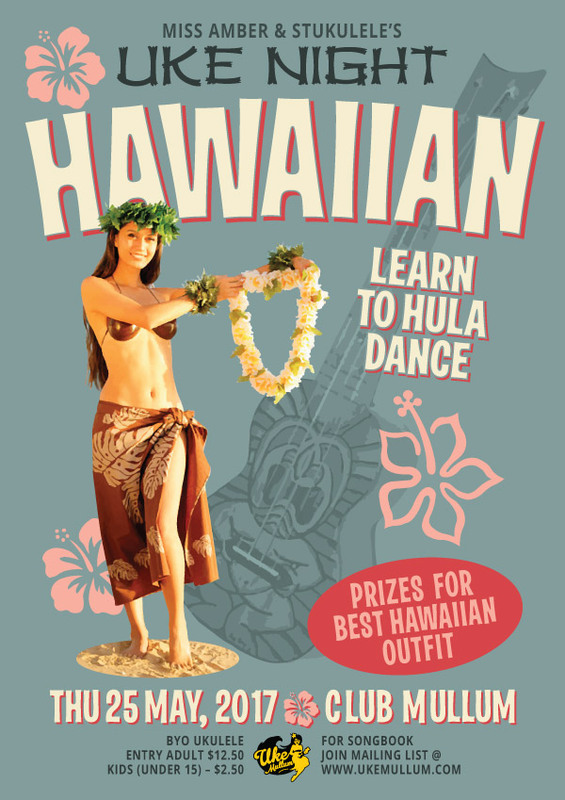 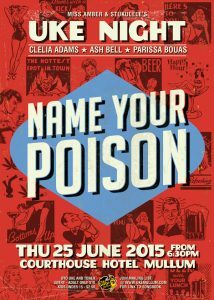 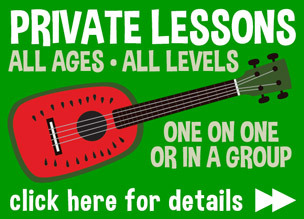 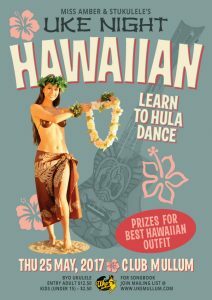 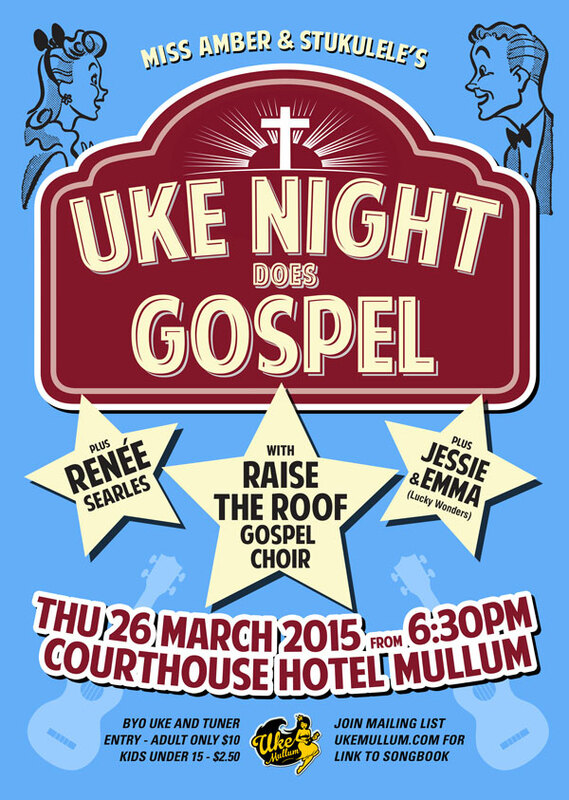 The minimum amount to access each monthly book so you can practice for UKE NIGHT is approx $5 Australian ($3.80 USD). 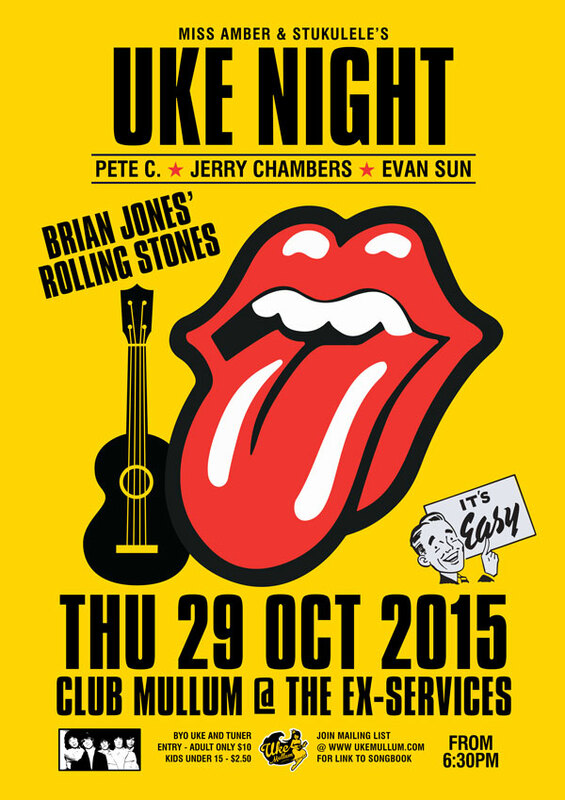 It’s the equivalent of buying Stu a coffee every month. 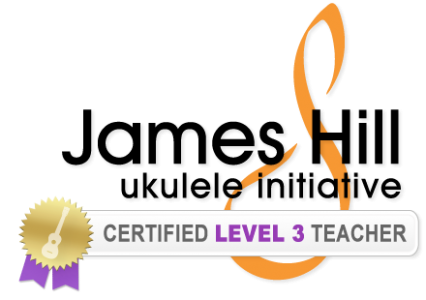 You may choose to pledge more and gain other rewards as well, like access to tabs and individual educational song sheets and more. 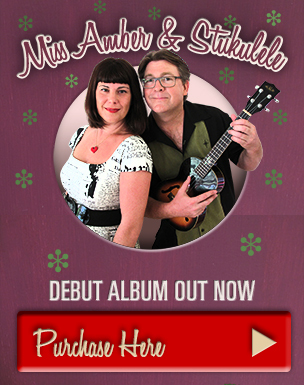 You can cancel your pledge at any time. 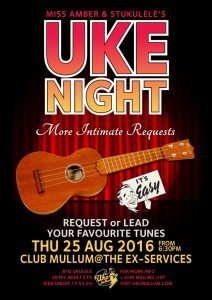 Contact Stu here for direct debit details or to make another arrangement. 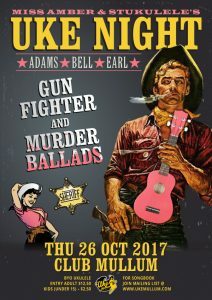 Click here to pay by paypal. 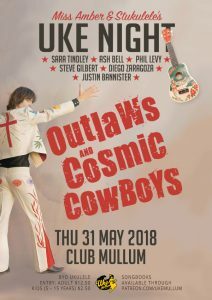 You can slip Stu some cash next time you see him. 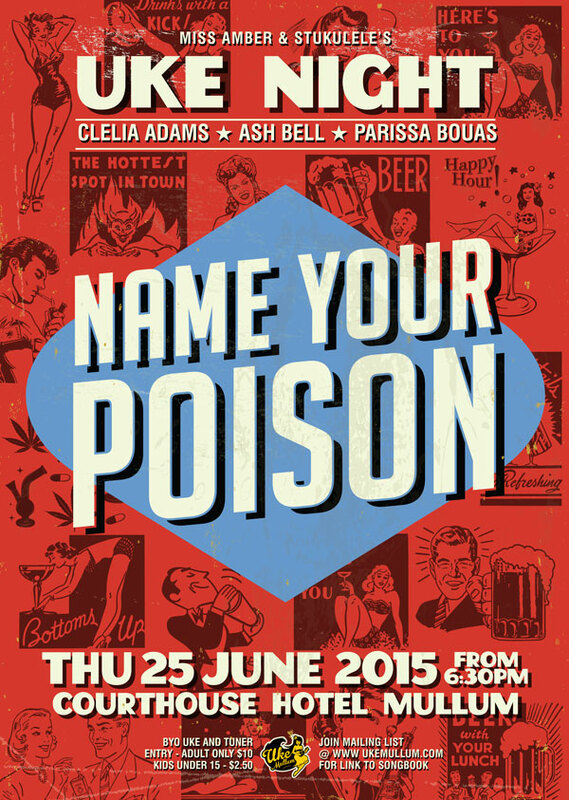 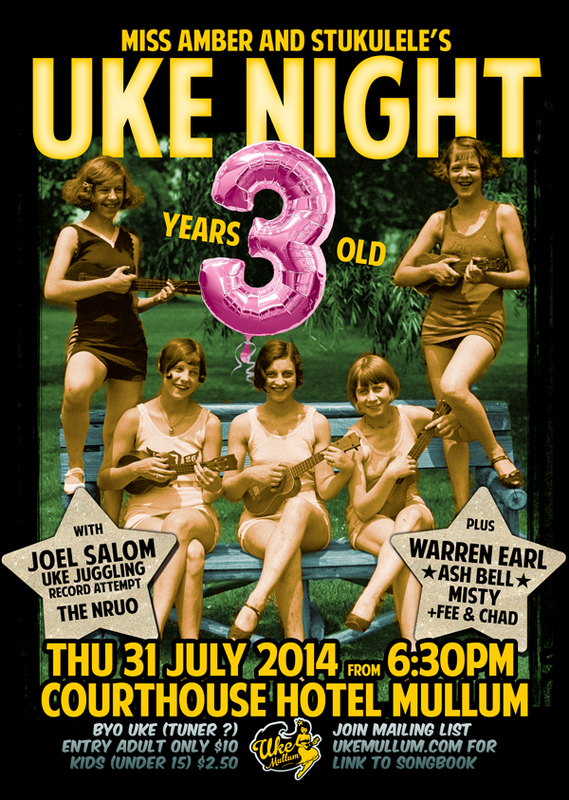 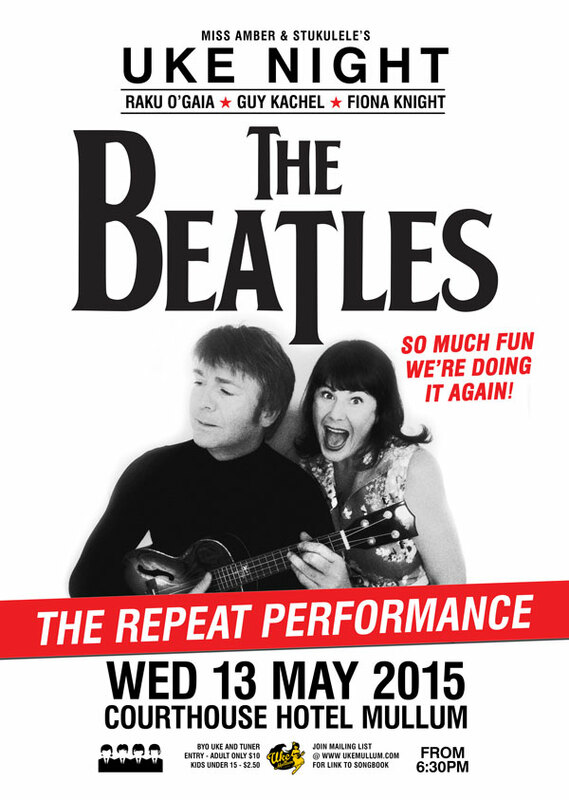 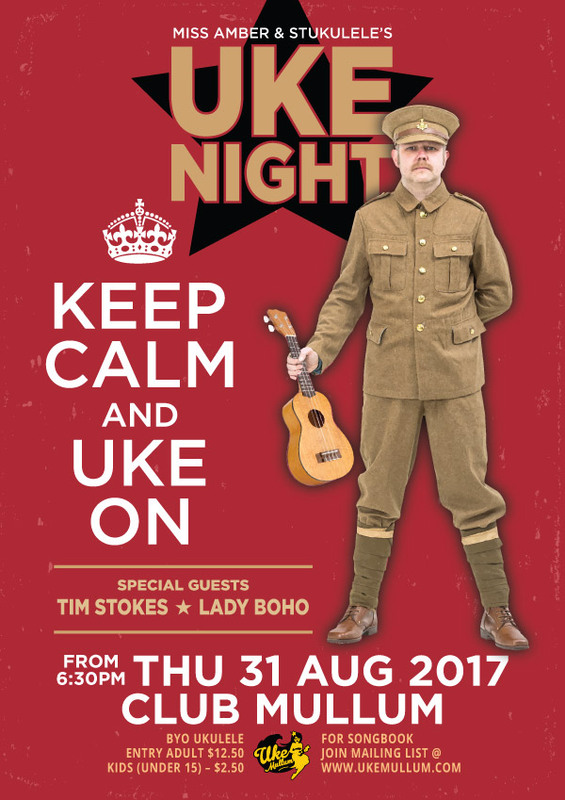 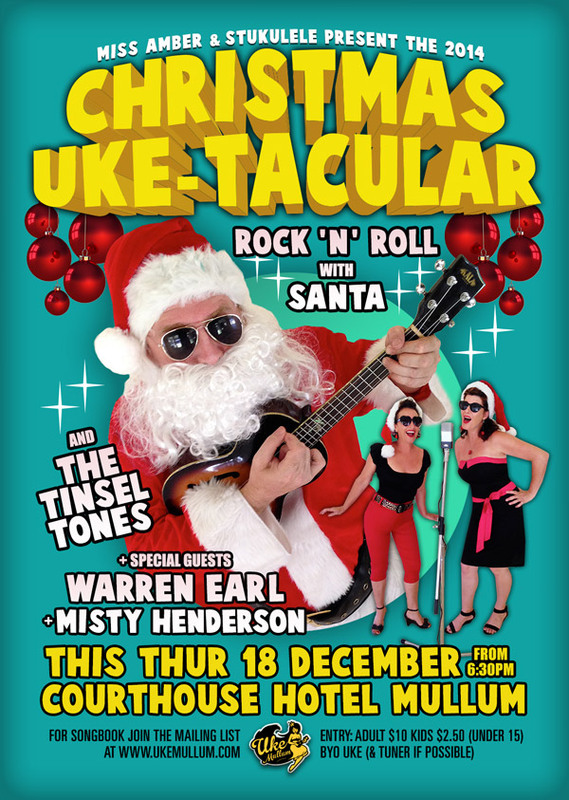 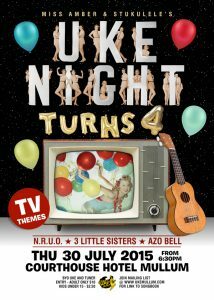 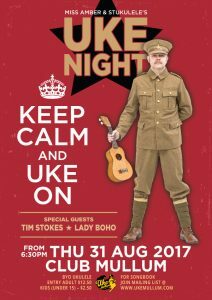 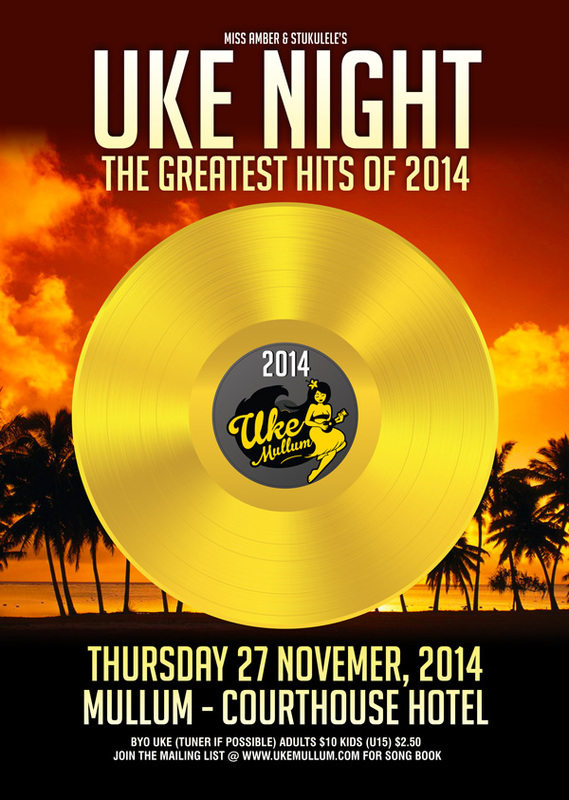 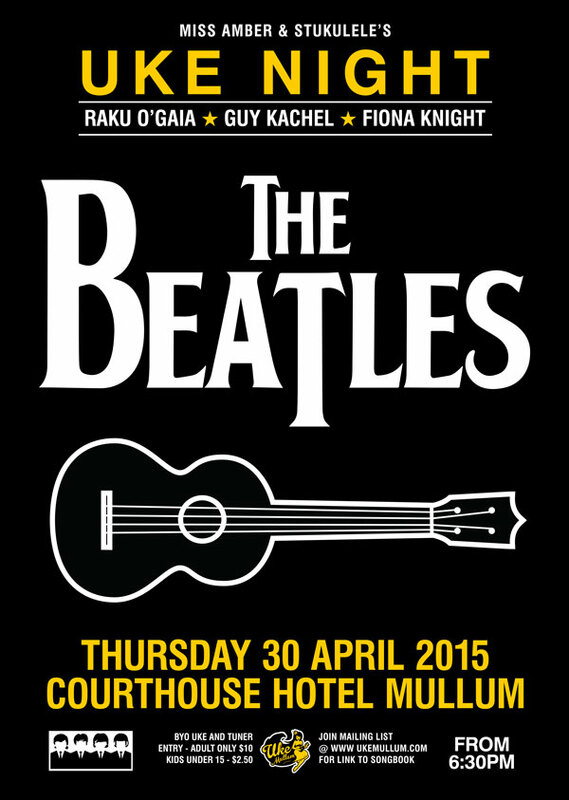 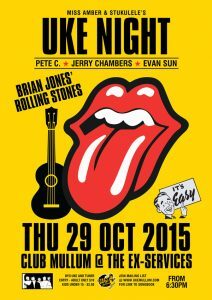 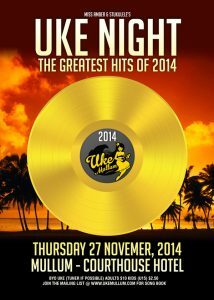 To be clear… you are supporting Stu as the producer of UKE NIGHT because you are a fan of his work. 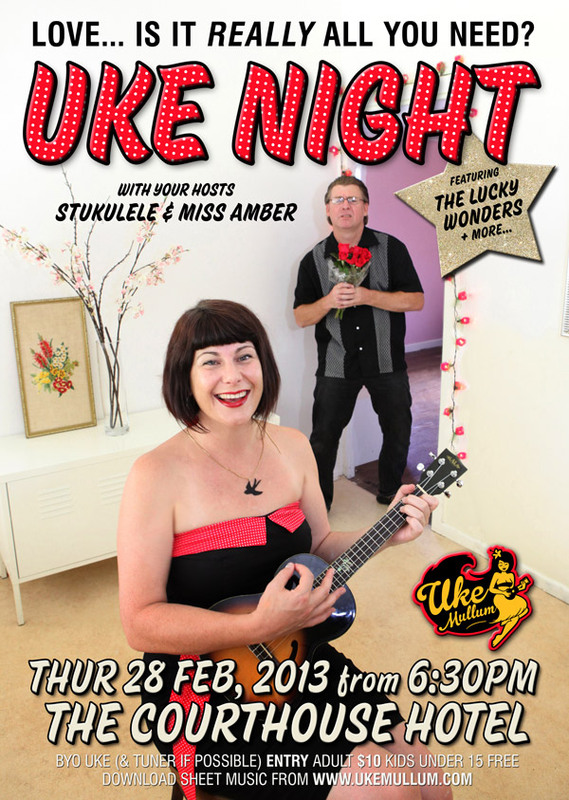 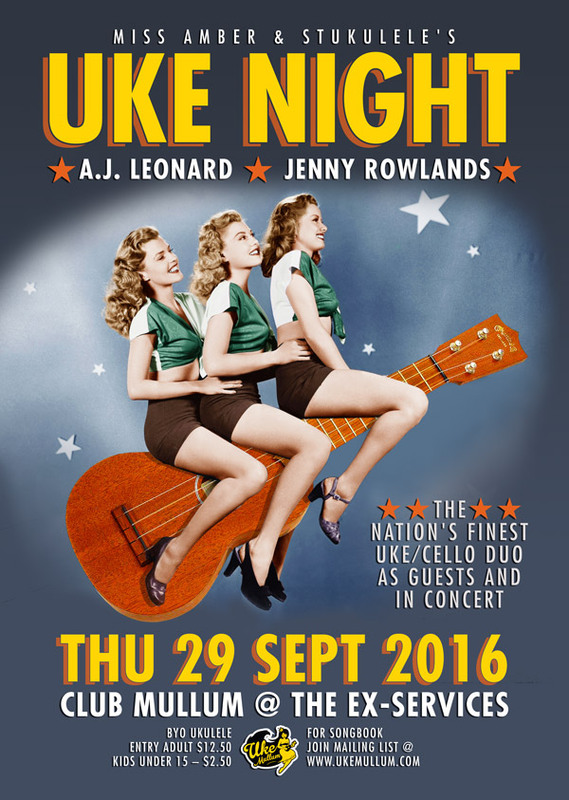 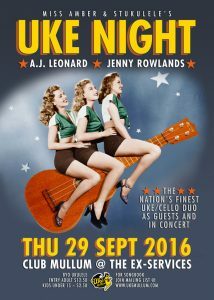 Uke Night is all about teaching people to play ukulele and to sing songs together. 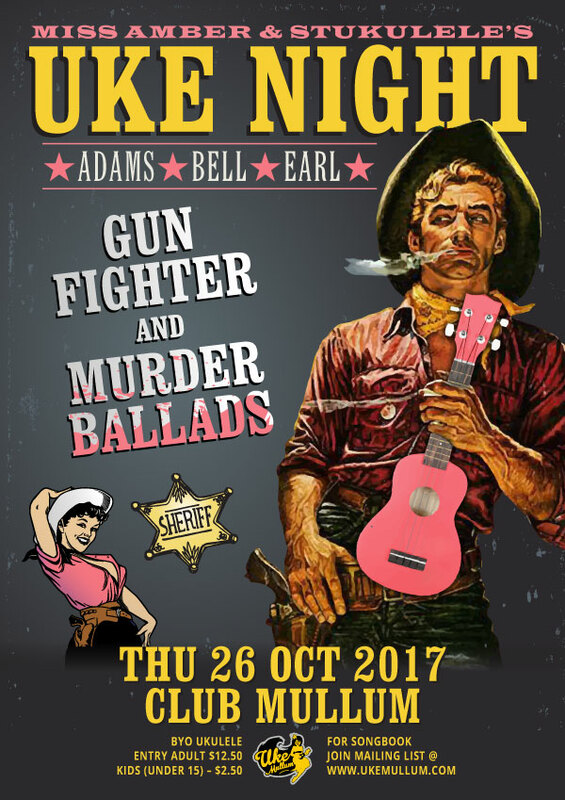 Below are posters from most of the nights. Posters can be ordered here.